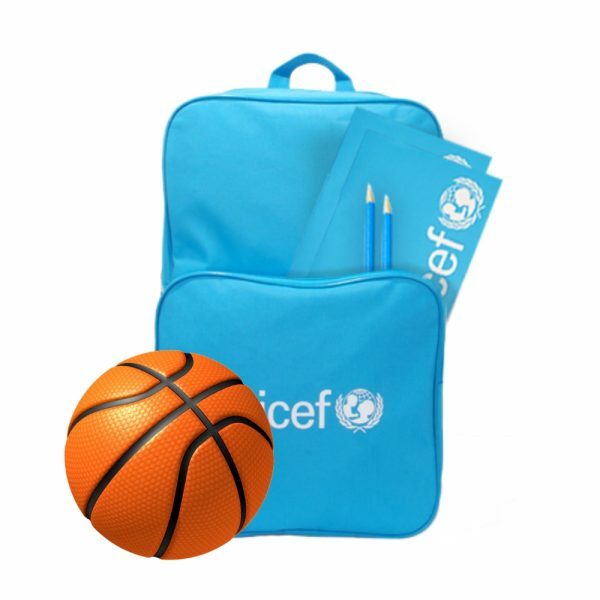 Your gift will provide a child in need with essential school supplies including a sturdy UNICEF blue backpack, 20 exercise books and 2 boxes of pencils as well as a basketball to help them play and learn. 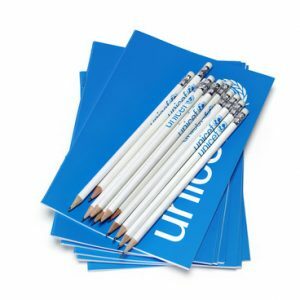 By giving children the gift of education, you will be helping them take the essential first step towards a safer and brighter future. 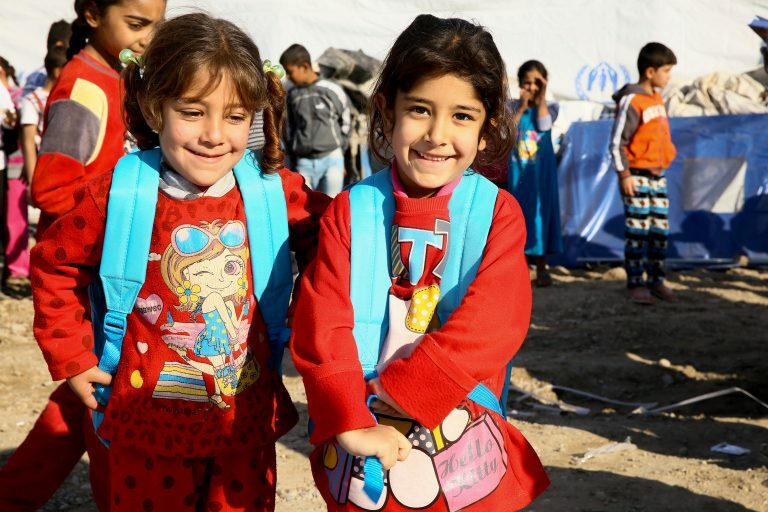 Smiling Amina and her twin sister Ruqaya (7), at a displacement camp in Baghdad. They are happy with their new Child Survival Gifts of school bags filled with essential learning supplies. Every child has the right to education. But, right now, vulnerable children are denied an education by armed conflicts, emergencies and poverty. 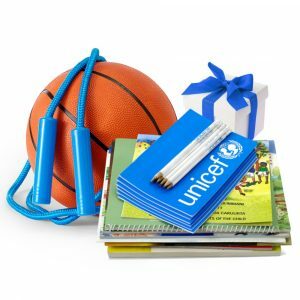 UNICEF is working with partners in the most isolated and dangerous regions on earth, to provide children with the education they need to protect them from violence, poverty and abuse. 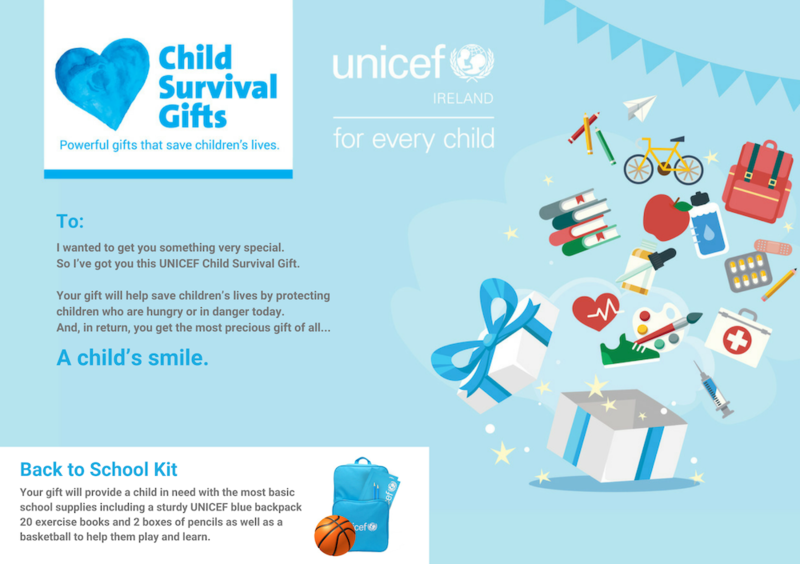 For Every Child. An Opportunity.